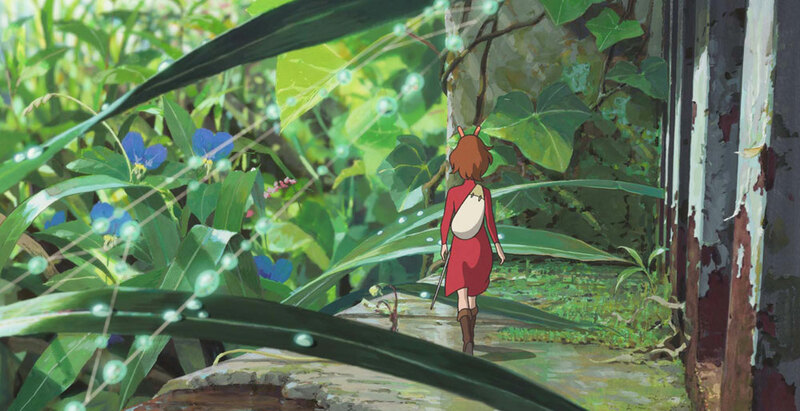 In Japan, The Secret World of Arrietty (also known as Arrietty the Borrower) made its debut in July 2010. 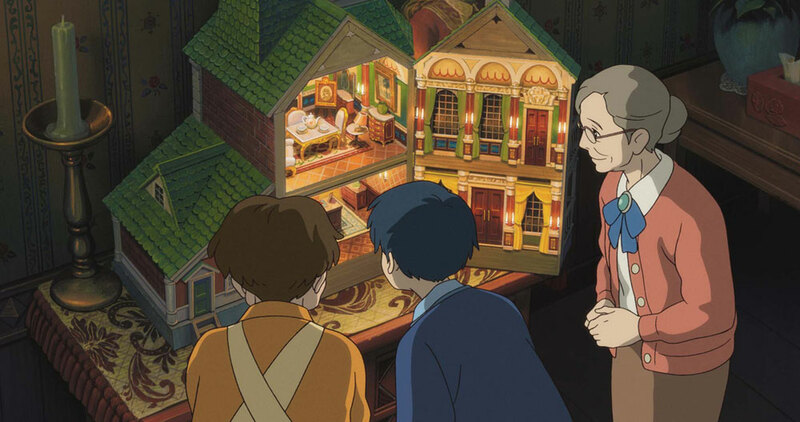 This summer 2011, Studio Ghibli has released their next movie, From Up on Poppy Hill which I already reviewed. Today we'll be commenting on Arrietty. I was a bit suspicious before that first viewing of The Secret World of Arrietty because I had heard some poor feedback on the film. Apart from Ponyo, I have to admit that all recent Ghibli films were not masterpieces as they used to be. For example, I'm not such a big fan of Tales from Earthsea or Howl's Moving Castle. But let's not play the old fart who lives only by Nausicaa and Porco Rosso; I decided to go see the movie with a clear mind. And I'm happy I did so, because contrary to what one can read here and there, I was pleasantly surprised by Arrietty. Obviously, it is certainly not the best Ghibli movie released so far, but it comes with a rather touching feeling from start to finish. On some levels, it even reminded me of Totoro in its construction without opposition, its delicate and contemplative atmosphere, or its very simple commitment to nature. 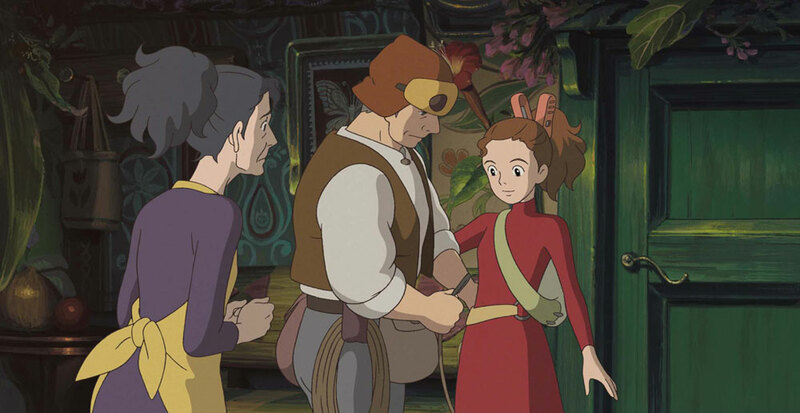 Technically, Arrietty is quite in the vein of what was expected. Backgrounds are beautiful, character design is rather traditional (some might say 'uninspired') but effective, and 2D animation remains simple and of excellent craftsmanship. The movie's musical score, composed and sung by the French artist Cécile Corbel, impresses: it fits perfectly and if it does not replace regular Joe Hisaishi tunes, the soundtrack could not have described the story in a better way. In the end I had a good time viewing The Secret World of Arrietty. We are far from bombastic pronouncements seen in a lot of old Studio Ghibli films, but this everyday poetry is very pleasant to follow. This is obviously a film suited for all ages: children will enjoy the tale as such, and adults will digest not too clumsy messages. Arrietty may not be Studio Ghibli's best movie of all times, but it's still a good film for all fans. The Secret World of Arrietty opens in the US on February 17, 2012.